People often say that Christmas is the best time in New York, but maybe that’s because they weren’t there in the fall. With the natural beauty, the changing colors and the chill in the air, the city seems to transform, much like its leaves. 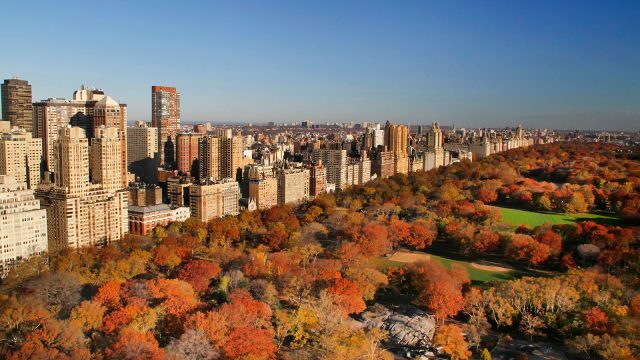 We’re taking a look at some of the most popular fall activities in New York City, so grab a scarf, some hot chocolate and get going! Nothing says fall quite like a party with the word “October” in it. Oktoberfest, held in the iconic Central Park has become a fall staple for thousands of people in the city. Taking a few pointers from the original Oktoberfest held in Munich, Germany, this American version has all the best parts. You can munch on authentic German pretzels and other delicacies, listen to the Austrian Parade Band and watch the polka dancers (you may even want to join them!) 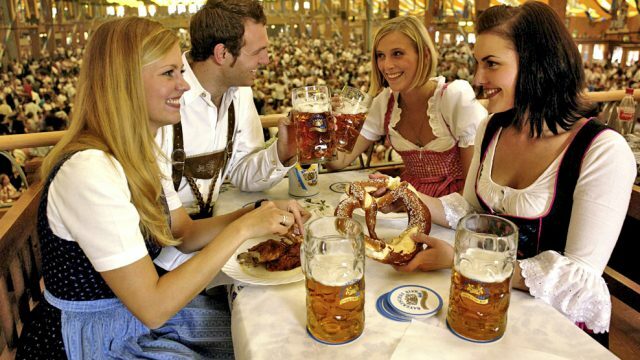 Then of course, who can go to Oktoberfest without having a good old fashioned stein of beer? This event is all about socializing and having a good time, and even better, it’s held all month! Well cheers to that! 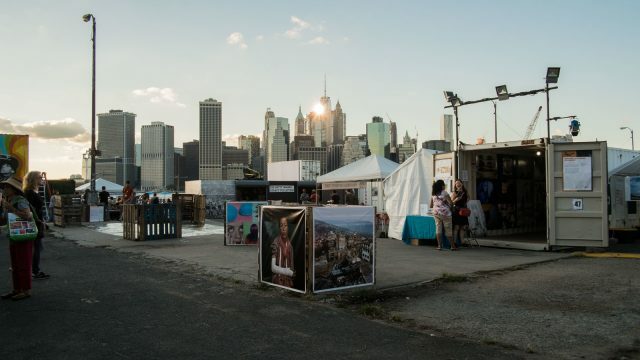 Photoville is a one of a kind New York event. Held in Brooklyn Bridge Park (just steps away from ILSC-New York!) this art-focused event is considered a “pop-up village” of over 75 exhibits. Dozens of shipping containers are brought in featuring various art, sculpture and even include dancers from over 500 artists. In addition, there are workshops, artist panels, and walking tours. You can finish the day off by grabbing a drink in the drink garden and watching an outdoor movie at night. Hurry up, though, the event runs until October 24th. When most people think of fall, they may picture yellows, reds, and oranges, but this fall event will have you seeing a whole lot of green. Brooklyn Grange Rooftop Farms is an organization that builds green spaces on rooftops of buildings throughout the city. The all natural rooftop gardens combined with the urban concrete jungle as a backdrop make for a stunning sight. 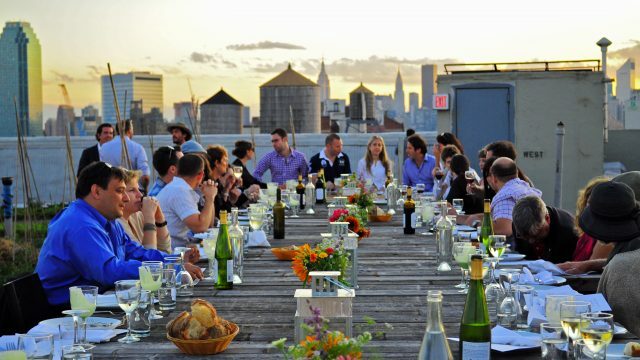 In addition to promoting sustainable living, the rooftop events spread throughout the city and include dinners, weddings, gardening workshops and even yoga! These sessions are on-going and have made these rooftop farms the largest of their kind in the world! This is not your typical museum! This indoor-outdoor space dates back to the 1800s and is the largest remaining tract of undisturbed farmland in New York – it also looks like it was made for fall. 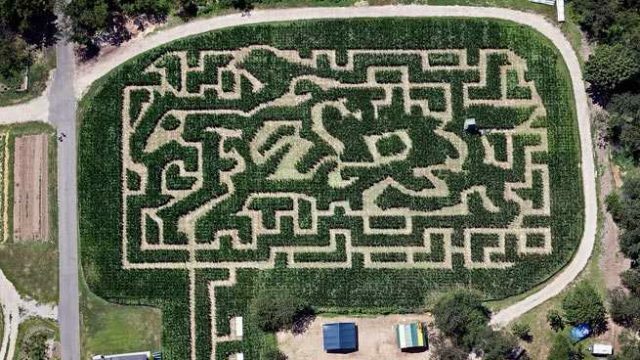 Located right in the city, the Queens Country Farm is home to a pumpkin patch, haunted house, and 3-acre corn maze!!! From September to November you can attend fun events held at the Museum, including the Queens County Fair, children’s fall festival or farmers market. If you’re not sold yet, did we mention it’s free? That’s right. See you there! 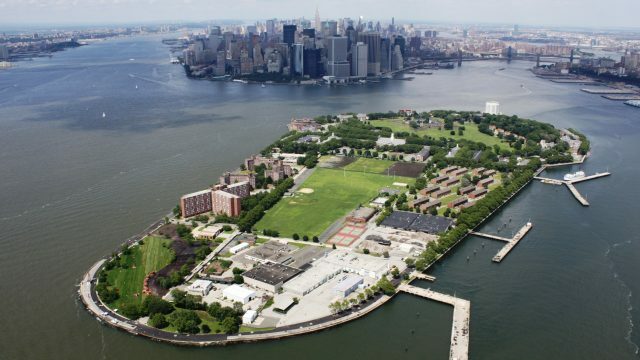 Governors Island is always a good idea – but it seems even better in the fall. This small island in Upper New York Bay is only 730 meters from Lower Manhattan, but once you’re there you’ll feel like you’re in a whole new world. The easiest way to the island is by ferry, and the most common mode of transportation when you’re there is bicycle. Spend the day visiting Castle Williams (a real castle!) relax in the hammock park, play a round of mini golf, or just walk around and take in the stunning views of the New York City skyline – just be sure to remember your camera! Fall is the perfect season of “not too hot” and “not too cold” and there are plenty of celebrations, parties and exhibits happening every day to help you make the most of it. New York City is the city that never sleeps, and with all the fall events taking place around town, there’s a chance you might not either. Want to discover more of New York City and learn English while you do? Join us at ILSC-New York!